In a strange way, the world becomes what we collectively imagine it to be. You could say this is a definition of mythology. We have stories about ourselves, about the world and about the universe. Science, which provides the modern worldview, is no different. It has 2 big Creation Myths: the Big Bang (the Universe) and Evolution (Life). It also believes that its stories are not stories, unlike every other culture’s stories. The assumptions behind the science story (at its worst) are that the universe is a material object ‘out there’ to be studied, that it is fully comprehensible by human reason alone and that it is inanimate and indifferent to us. Any other stories are the product of primitive minds. Huge, cold assumptions. Jupiter is the planet of story-telling. But I think that Neptune, the planet of the Imagination, is the ocean out of which the stories are picked. Neptune is that place where consciousness and matter merge, where it becomes obvious that you cannot separate human consciousness and the universe that consciousness is always trying to understand and describe. So our stories in a sense create the world, and it makes Neptune a very fundamental planet. We usually think of Neptune as fashion, as addiction, as creativity, as redemption, as a sense of connectedness. And all this is true. But underneath it all Neptune describes the sort of world in which all this takes place, the sort of world that the collective imagination has in fact created. It may be a beautiful, harmonious vision of the universe in which humanity and nature live in balance and flourish. Or it may be a nightmare vision of master races and dominance of nature by divine edict. I think that in the West we probably have to go back to pre-Christian times to find a healthy collective mythology. We have forgotten what it is like. Neptune was discovered in 1846, so its placement then tells us a lot about the world people imagined they lived in at the time. 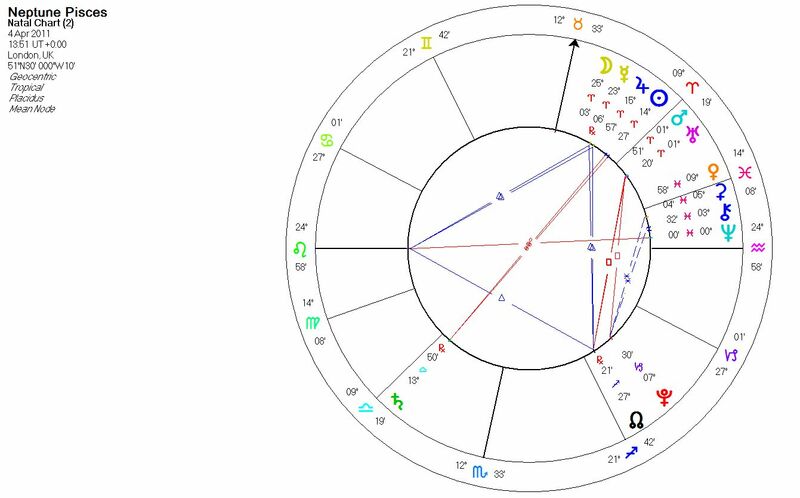 The Discovery chart (see below) has Neptune stationing conjunct Saturn in the 10th House at 26 Aquarius. So the Universe was becoming scientific (Aquarius), with man, rather than God, at the top of it. Aquarius supports humanity’s intellectual gifts, but is also prone to hubris. Prometheus was a very Aquarian figure. He brought all sorts of gifts to mankind, and Zeus told him not to bring Fire, but he did, and was punished for it. Prometheus had a disregard for Zeus as the embodiment of the laws of nature. 1846 was before Darwin’s book on the Origin of Species was published, but the idea of Evolution was already becoming known and gaining credibility in the academic world. So it was entering the collective imagination, and is well described by Neptune in Aquarius. Evolution is a scientific Creation Myth that puts Man at the pinnacle of Creation, continuing the sense of dominance over nature that was granted by the God of the Old Testament. Neptune’s close conjunction to Saturn in the 10th House reinforces this sense of dominance. Neptune stationing (standing still) is like him staring at us, saying you really need to look at this. In the last few years we have had the 1st Neptune Return, in the sense of Neptune reaching the place it was in when it was discovered. We have just had one full Neptune cycle of Science as our underlying collective mythology. So it is not surprising that the imbalances of that mythology are becoming clearer, that we are living in a time when we can no longer ignore the sense of dominance over nature that we have inherited from Christianity, and then had compounded by Science. We are collectively in the position of Prometheus with his liver being pecked out afresh every day. A healthy mythology has stories about the consequences of humanity’s innate tendency to get above itself. Hubris and its consequences are fundamental to ancient Greek Mythology. 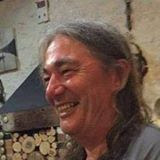 You find it also in the Chippewa Cree stories in the figure of Wisahitsa, a figure of fun who is always getting tripped up by his own self-importance. But an understanding of hubris is not part of our modern mythology, which is full of pride at human achievement, at how clever we are. 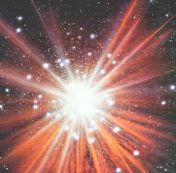 The Big Bang is the other modern Creation Myth, and that began to gain acceptance in the 1960s, while Neptune was in Scorpio. That is the perfect sign for the Big Bang. Under Scorpio, or Pluto transits, seeds are planted that turn out to have tremendous power, and that is exactly what the Big Bang was. A singularity giving rise to the whole Universe. 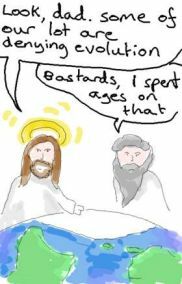 It is interesting that the Christian Era also began under Neptune in Scorpio, and that has the Creation Myth of God creating the world out of nothing. The fact that Neptune was discovered under Aquarius suggests that the Myth we need to pay most attention to is the one behind the Big Bang and Evolution, which is the Myth of Science itself and its approach to knowledge, as well as its placement suggesting power and dominance. And it is first of all important to recognise that it is a Myth, in the sense of an underlying story that we have collectively created. This is hard to do, because it is so much presented to us as an undeniable reality. But any Myth worth its salt will have this quality of believability. Years ago I read a short book called ‘The World is as You Dream It’ by John Perkins. It was based on his experiences with South American Indians, and the title is self-explanatory. 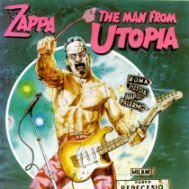 Perkins was arguing for the need to re-dream western culture – that, if you like, a new mythology is needed. And I think the Neptune Return is also telling us this. Neptune changes sign every 14 years or so, describing the ongoing shifts in the stories we tell ourselves about the world we are in. A mere change of sign doesn’t point to a fundamental change in mythology, you need to discover Neptune for that! For some of the significant changes, you probably also need to look at the Progressed Neptune chart, and the changes in direction of Prog Neptune, or the progressed new Moons, for example. In the early 1930s, Prog Neptune reached the position it was in when it was discovered, and there was also a Prog New Moon. And this was the time that Japan and Germany’s master race mythologies changed the world. Neptune will change sign into Pisces on 3rd/4th April (depending on where you live). There is no reason to suppose it will re-dream the whole of western culture, but coming hard on the heels of the Neptune Return, and being in its own sign of Pisces, it may well be more notable than most. 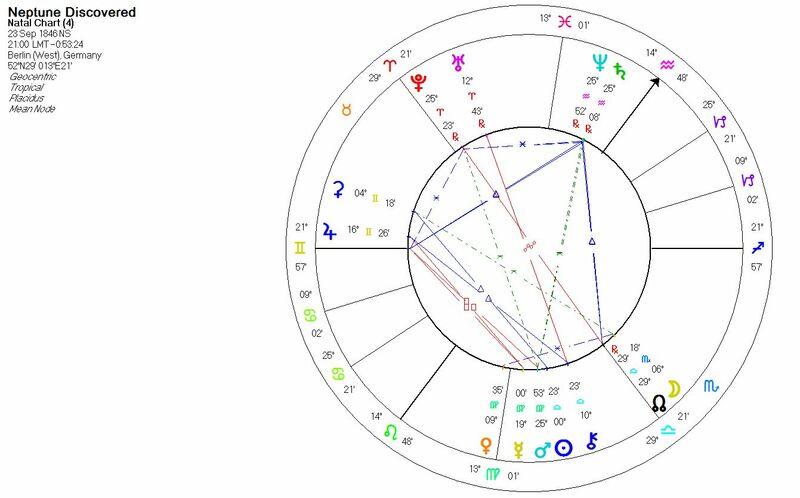 In the last 3 years we have seen both Pluto and Uranus change signs, and this has been quite dramatic. 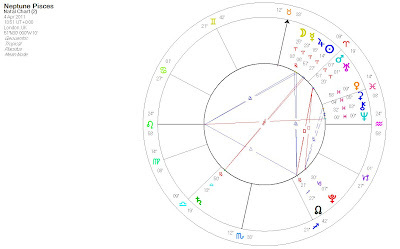 Within days of the 1st Pluto Ingress (entry into a sign) into Capricorn in January 2008, the Stock Market began to rock and the financial crisis got seriously underway. Pluto is a god of wealth, and so rules the economy. On Uranus’ last day in Pisces earlier this month, there was the biggest recorded earthquake in Japan followed by a tsunami. On his 1st day in Aries (his 2nd and final Ingress), there was an explosion at a Japanese nuclear plant affected by the earthquake. The Ingresses are not always dramatic, but they remind you that these planets and their signs are real things, that the meaning of human affairs is to be found in the heavens. 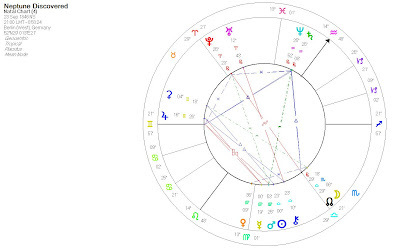 The chart for Neptune’s Ingress into Pisces has six planets, including a New Moon, in Aries. This suggests to me that, while our basic mythology may not change, there will still be some big changes to the way we see the world. Neptune in Capricorn, which began in the mid-1980s, was an era in which money (Capricorn) became fashionable (Neptune). Neptune in Aquarius, which began in the late 1990s, began the Internet Age: Aquarius is computers and Neptune is the interconnectedness of the web. Neptune in Pisces. Who knows? Me as well. You've been cranking out some great stuff DR. I especially love this: "Jupiter is the planet of story-telling. But I think that Neptune, the planet of the Imagination, is the ocean out of which the stories are picked." First time here - and I'm sharing this article with friends. You give yet another voice and viewpoint to things so many of us are glimpsing as we emerge from the fog. Thank you. Glad to have found your website (through Aquarius Papers)... I look forward to read more... thank you. Greetings from the Serpenty Far West! (via Aqu P too). What a great article, I'll be back too, thank you. This is one of your best posts ever. Have you read Haroun and the Sea of Stories to your kids? It's tangentially relevant. I "discovered" this blog with this EXCELLENT article through a blog I often read "Aquarius Papers". I found the article thought provoking and quite interesting. Also have a blog that you may check if you will or leave comment. All the best from a fellow Aquarian (10th. Feb). I am from São Paulo, Brazil. I love your texts, and everything you write, your knowledge and wisdom. Thank you for enlightening us! I always look forward to reading your articles, too.